In this climate, bullying seems to be on the forefront of everyone’s minds. From playground cruelty to the online rumor mill, we’re hearing more about bullying than ever, but are we getting better at helping kids and teens cope? Let’s take a look at how Hollywood has shown us various forms of bullying. If you would like to learn more about anti-bullying, contact Simple Acts of Care and Kindness at 866-459-7225 or visit www.simpleacts.org for additional information. Rumors, nasty comments, pushing, shoving, hitting – they have no place in our schools. It’s not just “kids being kids”. It’s not just something they will outgrow. 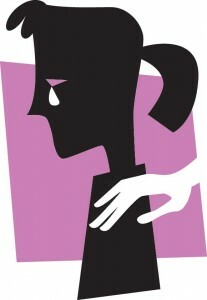 Bullying and harassment are serious issues with serious consequences. Students who are bullied are more likely to be depressed, to think about and attempt suicide, and have behavior problems and difficulty learning. Bullying contributes to poor school attendance, which is a barrier to improving student achievement for all. It affects efforts to close the achievement gap, a longstanding priority for the PTA. Nationally, an estimated 160,000 children miss school every day because of bullying. Prevention of bullying is a priority issue of the PTA because quite simply– children need to attend school in a safe environment. Governor Jerry Brown signed important legislation sponsored by PTA to protect students from bullying and harassment. AB 1156, by Assembly member Mike Eng, gives students, their families and their teachers effective tools to help better ensure school is a place where everyone is free to learn and teach without the threat of harm. The bill requires training of school site personnel in the prevention of bullying, and it gives victims of bullying priority for transferring out of a school, if requested. Training sessions on bullying prevention and intervention are now available through the California Department of Education for teachers, administrators, parents, students, certificated staff, risk management and community members. These sessions provide knowledge about the dynamics of bullying, a greater understanding of a systematic approach to bullying, and increase skills in identifying and implementing strategies to address bullying. 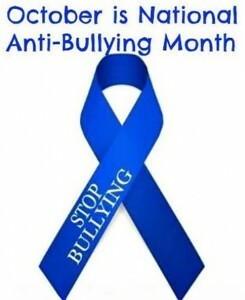 If you would like to learn more about National Anti-Bullying Month, contact Simple Acts of Care and Kindness at 866-459-7225 or visit www.simpleacts.org for additional information. Start by building strong connections at home. You want to be understanding and a good listener. But that doesn’t mean asking questions that can be leading or suggest that she has been wronged. Validate the range of emotions she is experiencing are valid. Help your daughter understand that all emotions, both positive and negative, are normal. Remind her that bad emotions don’t make her a bad girl. By allowing her anger or irritation to play out will help her calm down quicker than if you just play down the situation. Avoid problem-solving for her. You want your daughter to learn how to handle herself in these situations and in life. Be there for her and don’t just tell her what to do. Helping her work through what is going on by asking her questions. If you would like to learn more about what you can do to prevent bullying, contact Simple Acts of Care and Kindness at 866-459-7225 or visit www.simpleacts.org for additional information. When we think about the typical bully, we think of the big, tough kid on the playground who pushes everyone around. Sure, but those aren’t the only types of bullies. 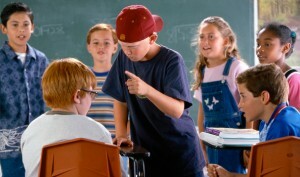 The cheerleader, the class clown, even the quiet kid can be a bully. Bullies can be any size, age, gender or grade. So, what does it mean to be a bully? When someone uses words or actions to hurt someone who has a hard time defending themselves. Sometimes kids who bully think that it’s cool, but what is cool about hurting someone? Name calling, tripping someone, laughing at them, leaving them out, ignoring them on purpose – how can hurting someone possibly be “no big deal?” If kids think about why they are bullying, they can then deal with those reasons and change their behavior. Not only will they feel better about themselves, but others will think so too. Do you hurt other kids on purpose? 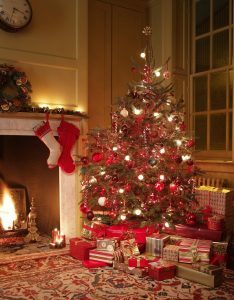 Do you like to tease kids about how they look or act? Are kids afraid of you? Do you hit, threaten, or leave kids out? Do you take or ruin other kids’ stuff? Do you enjoy it when you upset other kids? Do you blame others for your problems? Do you say mean things about others, either in person or on social media? 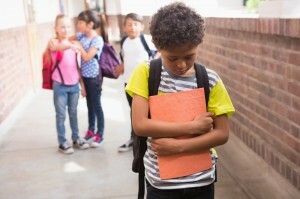 If you would like to learn more about bullying and what you can do to prevent it, contact Simple Acts of Care and Kindness at 866-459-7225 or visit www.simpleacts.org for additional information.